When you live in a multiple dog and cat household, you never sure what scenes you will encounter. This certainly was one of the sweeter ones. 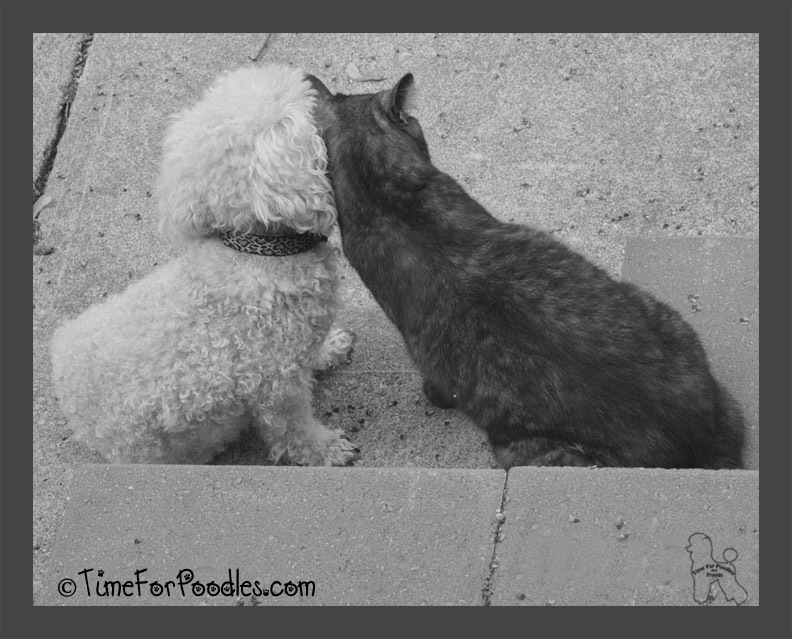 Today, we are taking part in the Sunday Black and White Blog Hop. 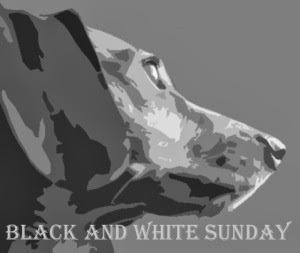 The Black and White Sunday blog hop kindly hosted by Dachshund Nola and Sugar The Golden Retriever . That's it for today. And until next time, take care.